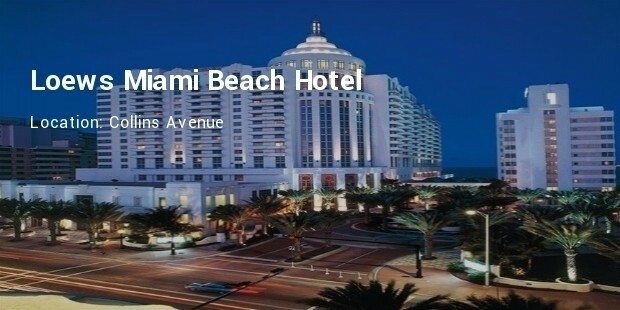 Miami is the most popular city in Florida situated at the southeastern tip of the state. Heavily influenced by Cuban culture this city is a vibrant and colorful place. Right from the cigar shops and quaint cafes that line the streets of Little Havana the Cuban influence can be clearly seen. 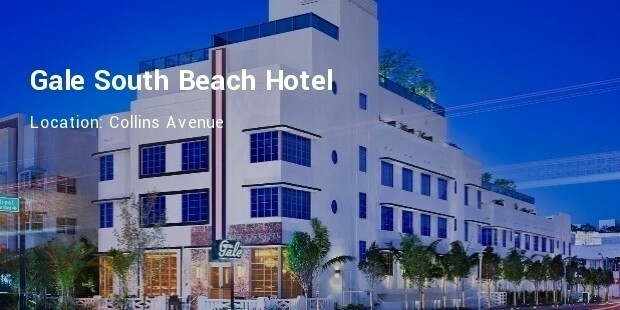 Besides this the famous South Beach is well known for its exquisite art deco buildings, splendid white sands, chic nightclubs and the expansive Atlantic ocean for surfing in the sun. 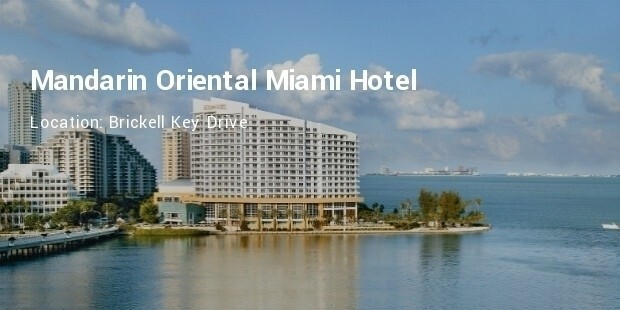 Let us take a look at one of the most luxurious hotels in Miami that will give you the perfect taste of this seaside city. 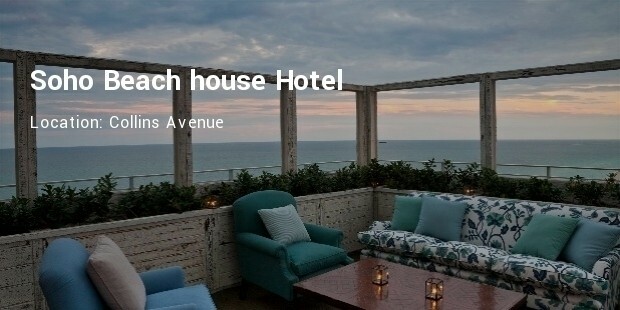 The 1 Hotel is an eco-friendly luxury hotel on the popular South Beach, combining the environment-friendly architecture with opulence in a splendid manner. Complete with thousands of varieties of plants and eco-friendly cars the lobby is made from authentic bleached wood and the cuisine is heavily inspired by the Mediterranean style. 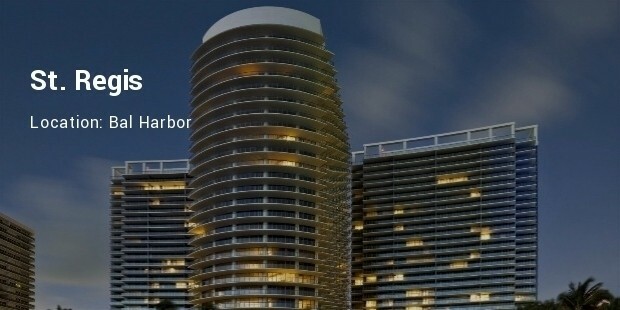 This immense luxury hotel in Bal Harbor area has around 227 rooms. The St. Regis displays opulence with high ceilings, glass walls and crystal chandeliers that display the hues of art deco style. The world-famous chef Jean-Georges Vongerichten manages the popular J&G Grill. 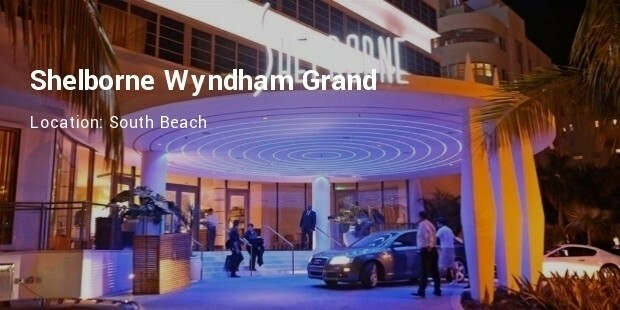 The Shelborne Wyndham Grand is situated on the chic Collins Avenue and is known for its perfect oceanfront location that allows the rooms an impressive view of the Atlantic Ocean. A hotspot for luxury tourists the Shelborne Wyndham is well-known for its art deco poolscape and the sumptuous Japanese cuisine restaurant by Iron Chef Masharu Morimoto. 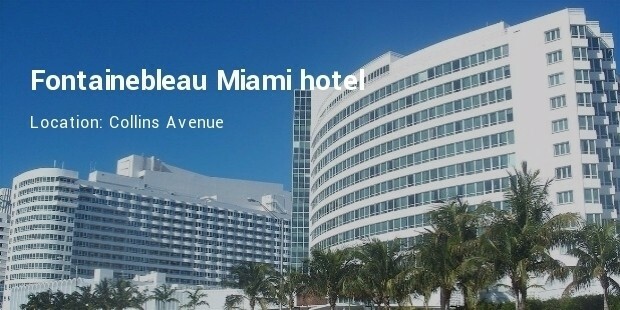 The Fontainebleau Miami Hotel is a grand, glamorous and truly expansive luxury hotel spread over 20 acres of beach-front. This hotel has around 1,500 rooms along with four exclusive restaurants that offer everything – from instant bacon to miyazaki or wagyu steak to a dessert of salted caramel bread pudding. 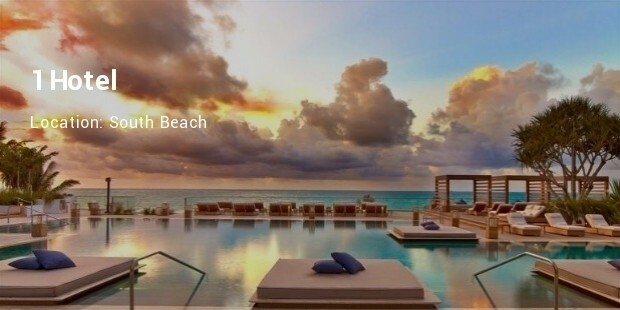 These are the top luxury hotels in Miami based on the comfort factor as well as the level of opulence, service and hospitality combined with other factors. 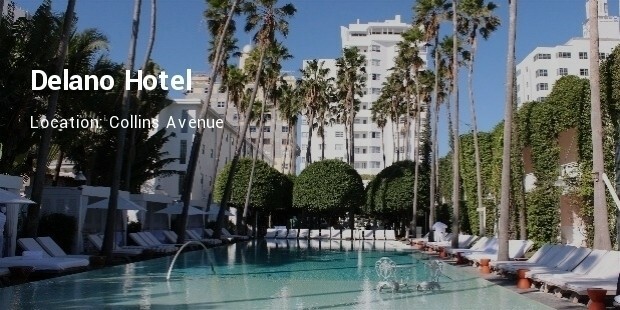 These glitzy and glamorous hotels are one of the most sought after luxurious accommodations in colorful Miami.